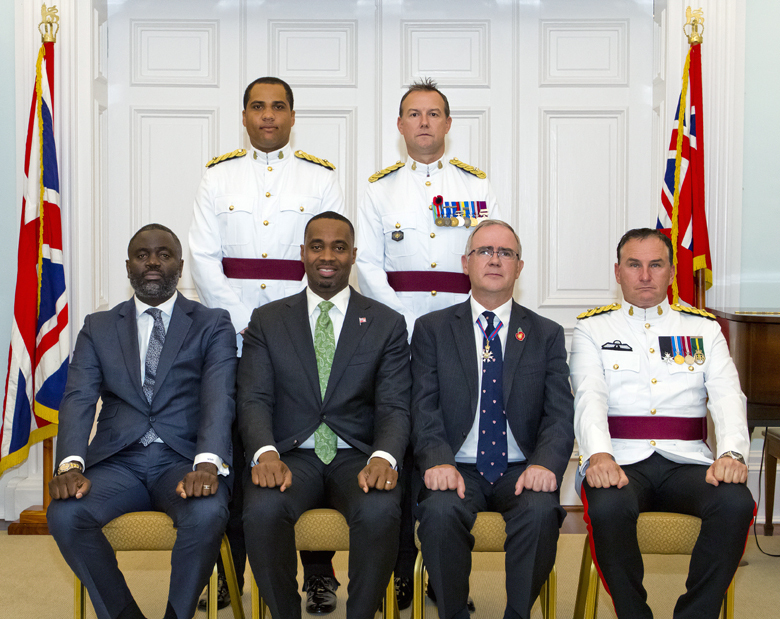 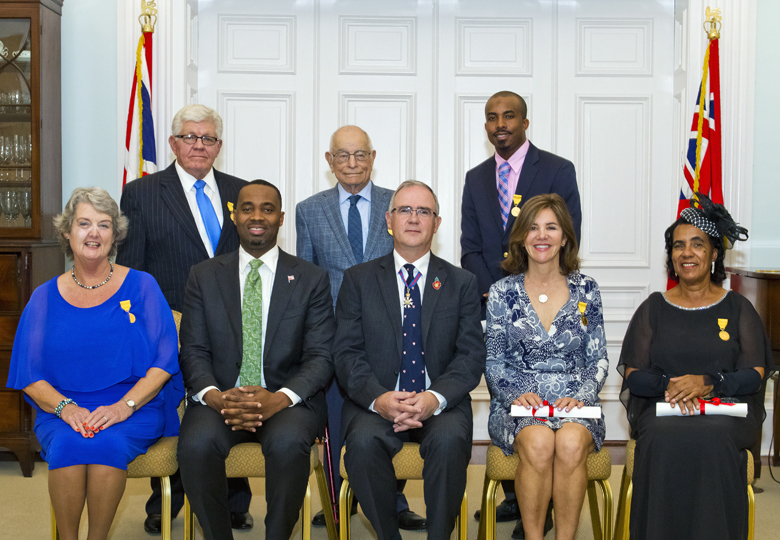 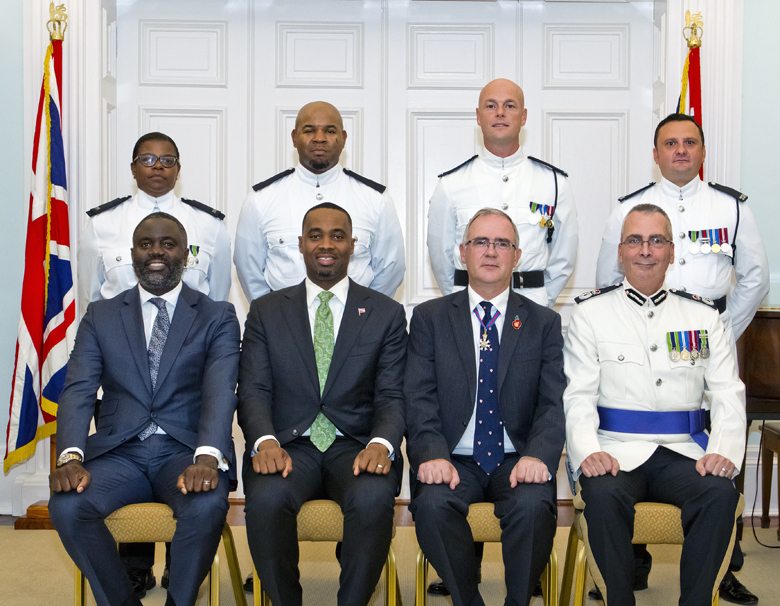 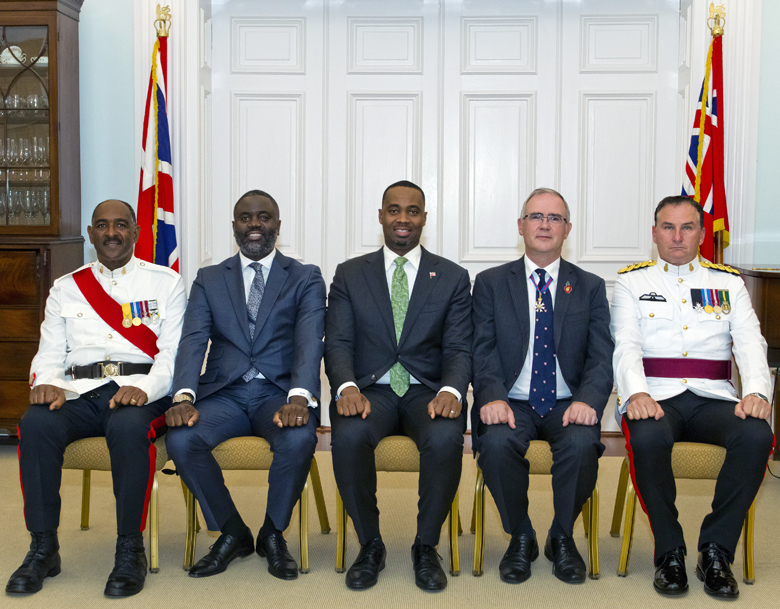 Premier David Burt, Minister of National Security Wayne Caines and Governor John Rankin recently celebrated the service of those in the Bermuda Police Service, the Royal Bermuda Regiment and the Department of Corrections. 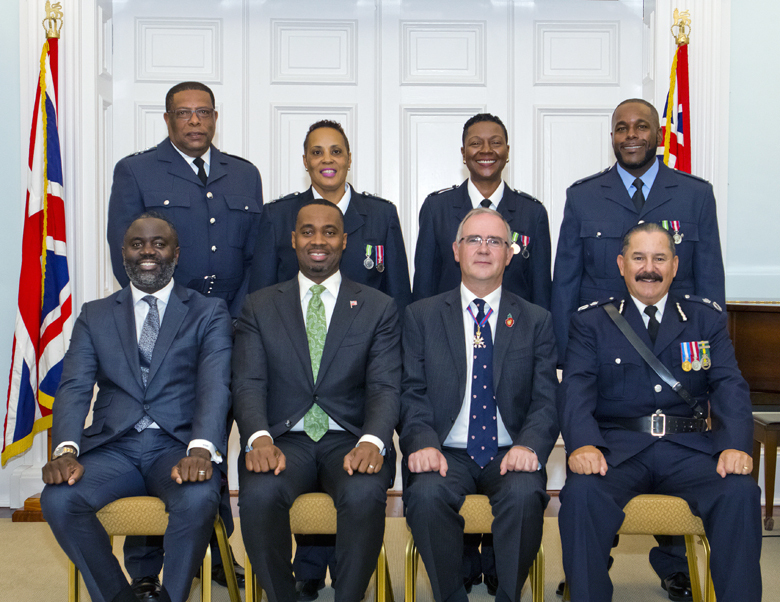 During the annual Honours and Awards Ceremony, which took place November 9 at Government House, members of the uniformed services were acknowledged with long service awards. 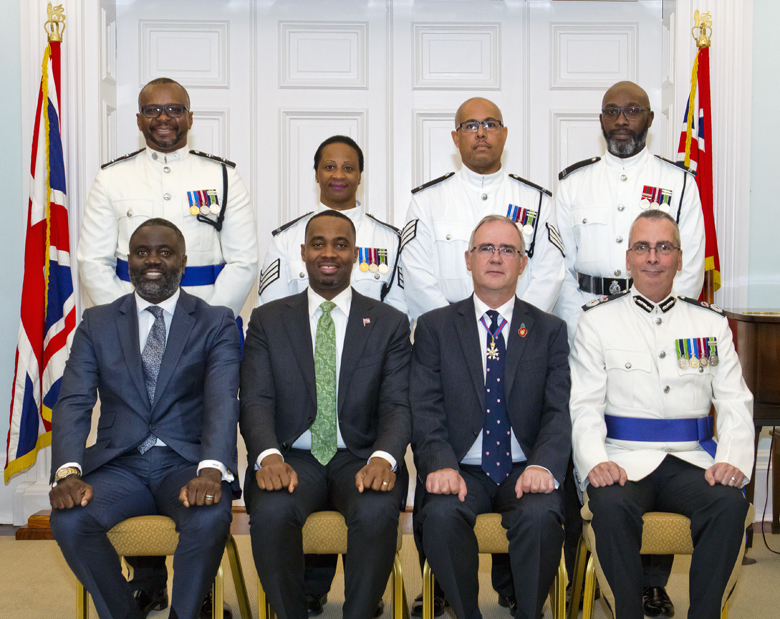 Also during the special ceremony, recent recipients of the Queens Certificates and Badges of Honour were also recognised and presented with their awards, including young entrepreneur Rodney Smith Jr. 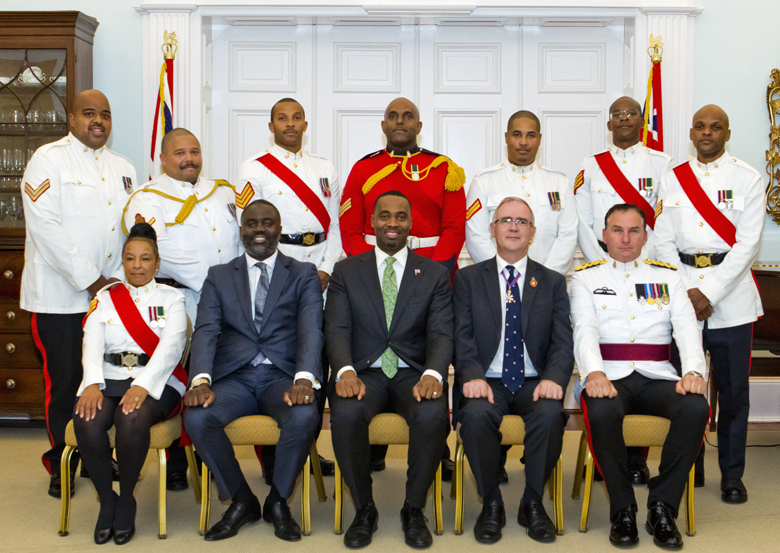 So nice to see a well attended photo opportunity going on , but respectively where is is the FIRE SERVICE, as uniform servicemen why aren’t they collectively included in program .